Especially good to add that extra special touch to a gift sword, this is the Dragon themed, orange lined sword case to give your Katana an extra touch of class. Closes shut with two hinged clasps. 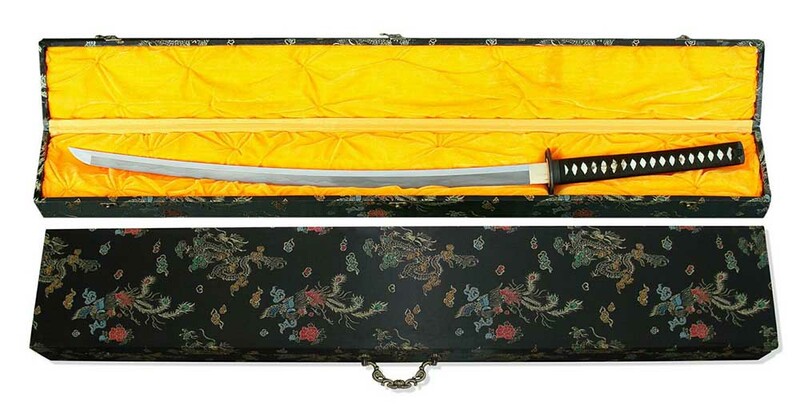 Suitable for storing a sword while not in use or for presentation purposes. Dragon themed, lined case carry handle and simple clasp locking mechanism. Orange Faux silk lining over polystyrene form fitting padding.